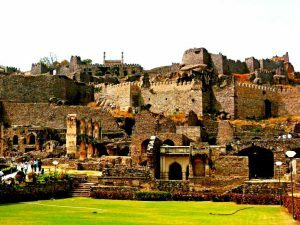 India has a rich and long history and the monuments like its palaces and forts are a major part of it. Our past is filled with monarchs and other capturing states and kingdoms and building monuments like forts as a statement of ownership. Then there are fables, romance sagas and other stories that surround these incredible structures. 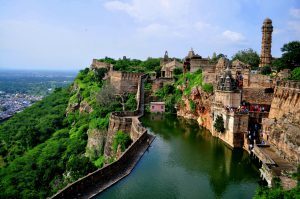 India has countless number of forts and each one has artistry of the area in which it was built. Let’s look at some of India’s most prominents forts. 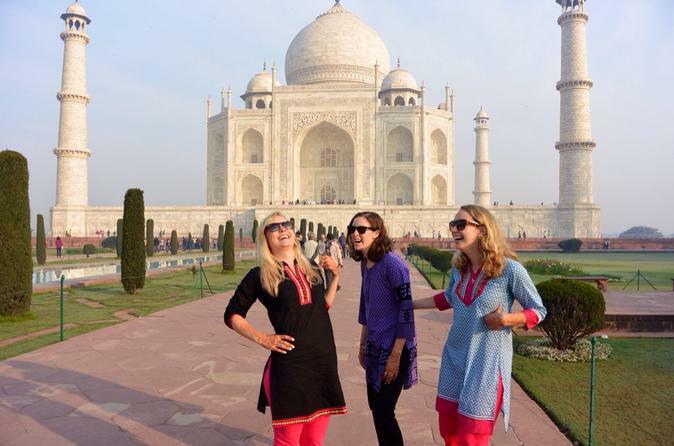 Explore fort & places tour with one of leading travel agent in Delhi. 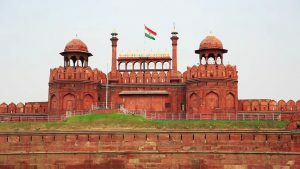 This beautiful fort that is situated in Delhi the capital city and is a UNESCO World heritage site. Also know as the Lal Quila this fort was built by the Mughul Emperor- Shah Jahan in 16th Century because the emperor decided to shift existing capital from Agra to Delhi. It is built out of red sandstone, took almost 10 yrs to complete construction and has the river Yamuna flowing alongside it. 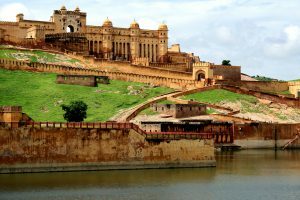 Another UNESCO World Heritage site, this fort is the biggest fort in India and Asia, It is situated in Rajasthan and Rajasthan tour is famous for forts . It was built by the Maurya Empire rulers and it is built in across 2.8 kilometers and includes 22 water bodies. There is a lot of bloody history in this fort including the legend of Padmavati who was the Queen of Chittor who burnt herself in the funeral fire to escape having to marry the ruler of the Khalji dynasty of Delhi Sultanate, Allaudin Khilji. There is a palace built in her honor inside the compound of the fort called Padmavati’s Palace and it is a beautiful white structure that has 3 storeys. Also Built by Raja Man Singh along with Mirza Raja Jai Singh and Sawai Jai Singh, this stunning fort has an architectural style that blends Hindu and Muslim influences. A place with a past of betrayal this place was captured by the Rajputs and made into their residence hence it is also called the Amber Palace because of its lavish appearance and apartments. Although construction started in 1592 there were constant changes and alterations according to each current ruler until 1600. This splendid fort was built in 1573 by one of the most popular Mughal emperors- Akbar. It was the Main residence of the Mughal emperors until 1638 when the Mughal Dynasty moved its capital to Delhi after which it lost its popularity and charm. This fort has a semicircle shape from an overhead view and stretches across 2.5 kilometers. 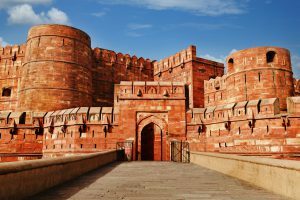 Akbar ordered to built it by the red sandstone and brought it all the way from Rajasthan to build up the fort, but Shah Jahan during his reign brought down many of the blushing red structures inside the fort, because he had a special fascination for white buildings. There are said to be several secret passages and rooms that can lead you to any place you need to go in the fort. This spectacular fort was built somewhere in between the 12th and the 16th century by several Qutub Shahi rulers. This fort experienced a lot of diamond trading and it is believed that the Kohinoor diamond was found here. The architecture of this fort is simply astounding and its designs included advanced acoustics making it possible to hear someone clapping from the entrance called the Fateh Darwaza to another part of the fort, the pavilion which is a kilometer away. 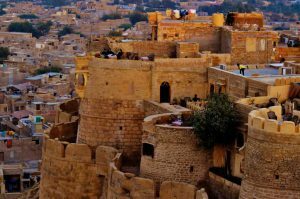 Built in the far distant Thar Desert, this fort gets its name from its builder the Bhati Rajput ruler, Rao Jaisal in 1156 AD, and is unique because of the 15 foot high wall that surrounds the fort and acts as a supreme defense for the Jaisalmer. One of it cool features is the Maharawal’s marble throne which is a gorgeous sight because it is built atop a flight of marble stairs. The Jawahar Palace is a major tourist attraction inside the fort because of its exquisite ornamental designs and patterns.